Somehow “Renna” keeps ending up inside my house. Nope. She doesn’t like it, in case you’re wondering. 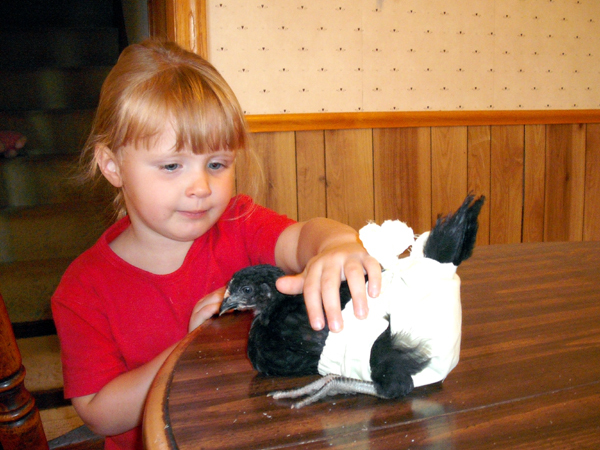 I’ve seen chicken diapers on BackYardChickens.com before. This was my quick attempt to make one out of a piece of old bedsheet. I might have to break out the sewing machine and make a nicer one. The things I do to keep my sanity and the peace around here!